If you’re a Babe Ruth fan you’ll really like this affordable piece of baseball memorabilia. 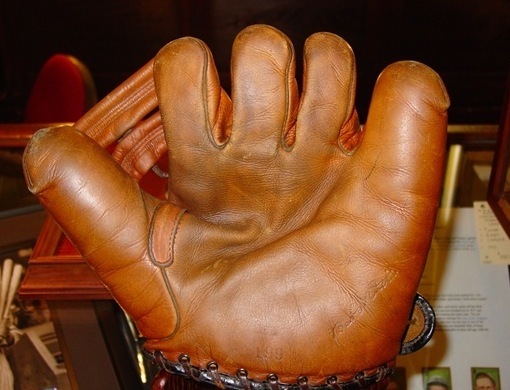 Pictured here is a vintage 1930s baseball glove endorsed by Babe Ruth. It’s a Spalding mitt with faint impressed mark on glove and original brass button. It appears to be in great condition with no tears rips, stains, etc. The Babe Ruth signature is strong on the lower right side. This mitt has no finger laces as expected for this time period and is the larger size at about 11 inches wide and 10 inches high. This glove is available on eBay with a buy it now price of $1,750 and the seller has 100% positive feedback. Take a look at some more vintage baseball gloves in all prices ranges.